In the course of Lent during this Year C, we have made a review of the story of the salvation of the people of Israel from the patriarchs to the promised land, reading key texts to remind ourselves of pivotal points in the saga. So we began with Deuteronomy 26:4-10, in which the Israelite worshiper recited the story of this people from the time of Jacob to the settlement of the land of Israel. Then Genesis 15 reminded us of God’s covenant with Abraham which included the promise of the Exodus and the possession of the land. 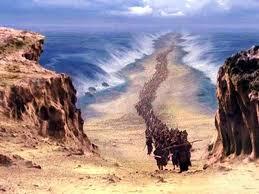 Exodus 3 called to mind God’s choosing of Moses and commissioning him to bring the people out of Egypt. Finally, Joshua 5:9-12 gave us a snapshot of the people of Israel having arrived in the land, as promised, and eating of its good fruits. God is going to initiate a “New Exodus,” in which his chosen people will be feed and watered in the “desert” and the “wasteland.” Even the “wild beasts, jackals, and ostriches” will honor God at this time. What is all this referring to? Key to understanding the fulfillment is remembering certain texts from the Gospels, like John the Baptist in John 1:23: “I am the voice of one crying, ‘In the wilderness make straight the way of the LORD’”—just as our text reads, “In the desert I make a way.” We should also remember the account of the transfiguration in Luke 9:31, when Jesus discusses his upcoming “exodus” with Moses and Elijah. These and other texts make the connection between Isaiah’s promised “New Exodus” and the mission of Jesus. Both the “wilderness” (see Exekiel 20:35) and the “wild beasts” (see Acts 9, esp. vv. 9-29) are associated with the Gentile nations in Scripture, and “water” is an image of God’s Spirit (see Isaiah 44:3). So Isaiah’s prophecy of water being provided in the wilderness for God’s people among wild beasts may be understood as a promise that God will pour out his Spirit among all the nations and form for himself a people from those who dwell among the Gentiles. The outpouring of the Holy Spirit is the goal of Jesus’ mission: we see it beginning in John 20:22-23 and continuing through Acts 2 and especially Acts 9, where the Spirit falls on uncircumcised Gentiles (‘wild beasts’) and God begins to form a people for himself from these same Gentiles. Psalm 126 is clearly a post-exilic psalm, one sung by the people of Judah after they had returned from exile to Babylon. It forms part of our Lenten journey through salvation history, reminding us now of the exile to Babylon and the period of return. It reflects the great hope and joy of this time period, when the Judeans experienced something about which they had all but given up hope: their restoration to their land and city (Jerusalem). The joy of this time is a foretaste of the joy we experience now, having experienced the fulfillment of Isaiah’s promise in the First Reading. We, at least most of us, are the “wild beasts” and the “wilderness” that God has transformed through the outpouring of his Spirit. We have been lead out of slavery to sin into the freedom of being children of God. I continue my pursuit toward the goal … Christ Jesus. A greater experience of Jesus Christ at the celebration of Easter is the goal of our Lenten journey. Notice the similarity with the First Reading, which exhorted “Remember not the things of the past!” and Paul who says, “Forgetting what lies behind!” We can understand the spiritual sense of these texts as urging us to forget any failures of our Lenten mortifications and resolutions, and to renew our commitments to prayer and self-sacrifice in the short time that remains. The “righteousness of God” is a supernatural property, and ultimately it cannot be disconnected from the gift of the Holy Spirit. The Holy Spirit, which we receive and is renewed in us through the sacraments received with an attitude of faith, communicates divine attributes to us. The Spirit gives us a righteousness that is beyond merely human capabilities. This was the problem with the Old Covenant and the Law. The Law was well and good as far as it went—but it did not give us supernatural power, it only instructed us in what is right to do. The New Covenant communicates to us God’s presence and power in our lives. But, there is a mystery involved in this: how much effect this divine power and presence has in our lives does depend on our cooperation. That is why Paul says, “I have not already attained perfect maturity, but I continue in my pursuit ….” God does not save us without our cooperation. We need to receive, embrace, and respond to the gift of God’s righteousness in the Holy Spirit. and began to write on the ground with his finger. 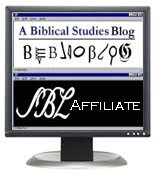 The scribes and the Pharisees have contrived this whole event as a political trap for Jesus. We notice immediately that there is something fishy about the events, because they bring this woman “caught in the act,” but the man involved is nowhere to be found, even though the Law of Moses would hold him equally responsible. Where is the man if they caught the woman “in the act”? Possibly this woman is just a paid actor, although we just don’t know. In any event, this is the nature of the trap: If Jesus responds by telling the scribes and the Pharisees that they should stone the woman, the scribes and Pharisees will immediately run to the Roman authorities and report Jesus as advocating rebellion against the Roman government and its laws, since the Roman government had reserved to itself alone the authority to apply capital punishment. No other group or persons in the empire had the power of execution, and to advocate or attempt the execution of someone apart from Roman authorization would be interpreted as an act of sedition. On the other hand, if Jesus responds by telling the scribes and Pharisees not to execute the woman, they will report to the people, “This man Jesus is no true prophet because he defies the Law of Moses!” Thus, they will succeed either in getting Jesus arrested or else discrediting him in the eyes of pious Jews. By saying this, Jesus puts the responsibility for the woman’s execution squarely on the shoulders of the scribes and Pharisees. They certainly do think that they themselves are without sin, but they do not dare take up a stone to throw at the woman, because they would be immediately arrested by the Roman soldiers who were keeping an eye on the Temple courts from the massive, adjacent Antonian fortress. The whole proceedings were probably being watched by soldiers from the parapets of this fortress, which Rome had built precisely for keeping peace at this most volatile area of Jerusalem. So now Jesus has turned the trap on the Pharisees. If they throw stones, they will be arrested by the Romans. If they don’t throw stones, they will appear to be admitting that they have sin. In the end, they choose the shame of being outwitted in public rather than arrest, torture, and incarceration by the Roman authorities. The oldest and wisest are the first to figure out that Jesus has outwitted them; the youngest and foolish keep hanging around, hoping there is some way out of their “checkmate.” Do not think for a moment that their decision not to throw stones was actually some kind of sincere conviction in their hearts that they truly were sinners in need of forgiveness! Certainly not! They just didn’t want to be arrested. If the woman had really committed adultery, then Jesus exhorts her to do so no longer. But even if she was a paid actor, it was a sin to cooperate with the Pharisees in the effort to entrap an innocent man. And she needs to repent of that sin. In none of this does Jesus relax in the least his teaching on sexual purity. Jesus has the highest standards of sexual propriety, forbidding not just adultery but even the internal lust that is the seed of adultery (5:28-30), and that if necessary we should be willing even to maim ourselves if such will free us from sin. So in Our Lord we see the paradox of unyielding teaching about the way of holiness combined with an inexhaustible willingness to forgive, heal, and restore (Matt 18:22). Jesus' teachings contrast with the perspectives that seem prevalent in the Church nowadays, even in high places in the Church, such that God's mercy is expressed by the approval of sin, especially condoning sexual activity outside of sacramental marriage. The problem is, sexual activity outside of sacramental marriage is not an act of love and harms persons, psychologically, spiritually, and sometimes physically. It is not merciful of God to condone or encourage behavior that damages the human person in multiple dimensions. God comes to us to show us a new way of life, in which we are not enslaved to physical urges but are freed from these attachments actually to be able to love. God's mercy is expressed in forgiving, but not condoning, sin. In the context of this Mass, this Gospel reading gives comfort to those many of us who have botched or messed up our Lenten practices, or even abandoned them and gone back to a self-indulgent lifestyle in small or large ways. The Lord is ever forgiving. He does not condemn but encourages us to “go and sin no more.” Yet he does not lie to us by telling us we can attain eternal life while indulging in sin. The Lord never tells us an untruth. Since salvation is by definition an “exodus” or freedom from sin itself (and not merely the punishment for sin), we cannot be “saved” while we are still “sinning.” That would be an oxymoron, since sin is what we are saved from. As Pope Francis has often said, God does not tire of forgiving, but we tire of repenting!